Irish Continental Group plc (ICG) announces that it has entered into a bareboat hire purchase agreement for the sale of the cruise ferry Oscar Wilde to MSC Mediterranean Shipping Company SA. The total gross consideration for the sale is €28.9 million, payable in instalments over 6 years, up to 2025. Delivery to the buyer is expected to take place during April 2019. 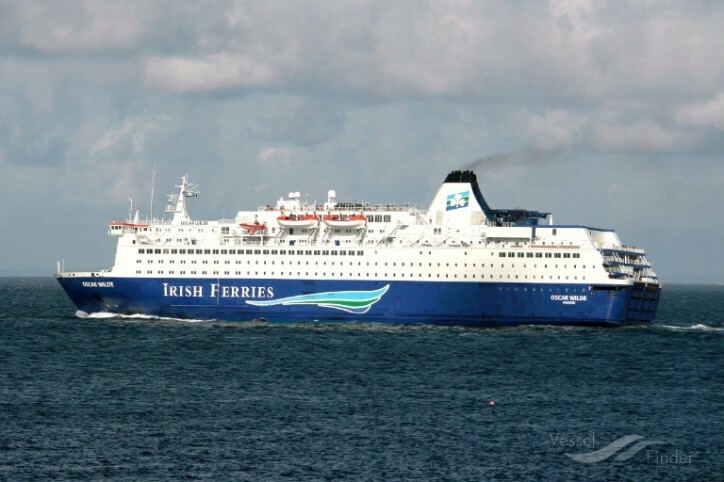 The Oscar Wilde (see also CruiseMapper), built in 1987, was acquired by ICG in 2007 and was operated by its subsidiary Irish Ferries on the Ireland – France route. The proceeds less the net book value of the Oscar Wilde (€7.7 million) and related disposal costs will result in a profit on disposal which will be reported as part of the 2019 financial results of ICG.